Free Shipping Included! 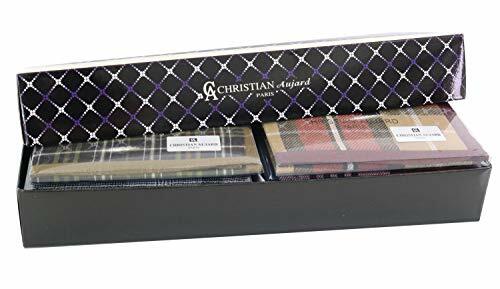 Christian Aujard Handkerchiefs 10 PCS Pure Cotton Hankies Pack Gift Set Men by Christian Aujard at SCRHI. MPN: 43230-181344. Hurry! Limited time offer. Offer valid only while supplies last. These handkerchiefs will make a handsome gift. 100% Cotton, soft and smooth handfeel. Excellent Quality Care Guide: Machine washable, tumble dry. These handkerchiefs will make a handsome gift. 100% Cotton, soft and smooth handfeel. Care Guide: Machine washable, tumble dry. Some items in the sets could be changed to other design patterns. INDIVIDUAL PACKAGING - Transparent Plastic Package for Each Items. You Can Give 10 People These Handkerchiefs as a Gift. HIGH QUALITY GOOD DESIGN - French Christian Aujard Designed and Made in Korea. MADE IN KOREA - 100% Pure Cotton, Excellent Quality. Every Design is Different. If you have any questions about this product by Christian Aujard, contact us by completing and submitting the form below. If you are looking for a specif part number, please include it with your message.